[Episcopal News Service – St. Thomas, U.S. Virgin Islands] A year after two devastating hurricanes swept through the Virgin Islands, building materials and skilled-labor shortages have delayed recovery. Blue tarpaulins covering damaged rooftops have frayed under the hot sun, with each threat of rain increasing Virgin Islanders’ anxiety, particularly as the Atlantic hurricane season reaches its peak. Across the islands, the story is the same: a lack of supplies and craftspeople, and delayed insurance claims, have frayed peoples’ nerves. Thursday, Aug. 30, brought rain that forced some to take shelter in their vehicles as the water came through the tarps on their roofs. A person cannot simply go to a hardware store and purchase windows, doors or galvanized roofing panels; materials must be ordered on the mainland, and cargo ships transporting materials must first pass through Puerto Rico, where the need is just as great and the population much larger — 3.4 million compared to the Virgin Islands’ 130,000. Worse yet, building materials can cost three to four times as much on the islands as in the continental United States. Everyone has suffered, especially the elderly, many of whom lost their homes and were separated from family; some have died from illness and storm-related stress. Children are experiencing the same ailments as adults; high-blood pressure, diabetes and anxiety, said Gumbs. “The new normal has not yet arrived,” he said. As the one-year anniversary of Irma came and went, three storms, all of which reached hurricane strength by Sept. 10, were forming in the Atlantic. Hurricanes come off West Africa’s coast and either gain strength or dissipate as they work their way east across the Atlantic Ocean. Last year, Hurricane Irma crossed the Virgin Islands as a Category 5 storm on Sept. 6, 2017, causing extensive damage. Two weeks later, on Sept. 20, Hurricane Maria passed over the islands as a Category 5 storm before making landfall in Puerto Rico as a Category 4 hurricane. The two hurricanes led to thousands of deaths and more than $102 billion in damages. Damage to church-owned properties is $7 million, according to Church Insurance, which insures church buildings. 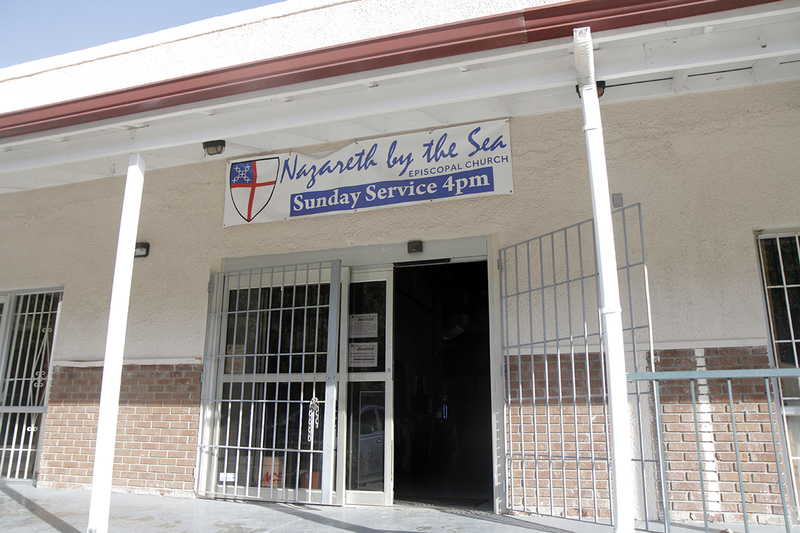 “Irma came and left us with something to think about, and Maria came in and finished the job,” said Rita Payne-Samuel, Episcopal Church Women president at Nazareth-by-the Sea Episcopal Church on St. Thomas. Still, the hurricanes reinforced what it means to be church, which goes beyond the buildings. Nazareth-by-the-Sea meets in a strip mall storefront since Irma destroyed its building, she said. It is without a priest, and like Holy Cross is served by Gumbs, making it difficult for the bishop to make regular pastoral visits to the diocese’s other congregations. Pastoral support is one thing the wider Episcopal Church could offer the Diocese of the Virgin Islands in the short-term, the bishop said. 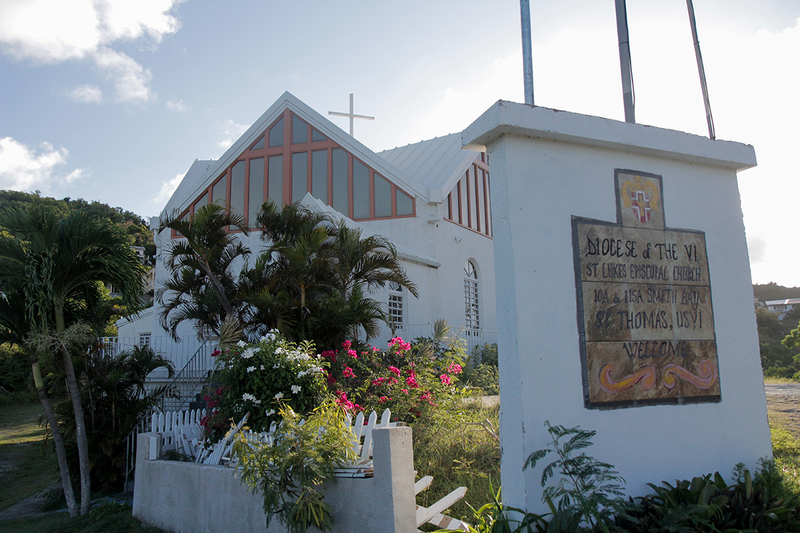 The Diocese of the Virgin Islands consists of 14 congregations spread over five islands; three – St. Thomas, St. John and St. Croix – under U.S. jurisdiction, and two – Tortola and Virgin Gorda – under British rule. Residents living in the U.S. Virgin Islands are U.S. citizens; residents of the Virgin Islands are British Overseas Territories citizens. Ferries, planes and sea planes shuttle passengers around the islands, which were discovered by Christopher Columbus in 1493 and named for St. Ursula and her 11,000 virgins. The one Episcopal Church on St. John is named for St. Ursula. 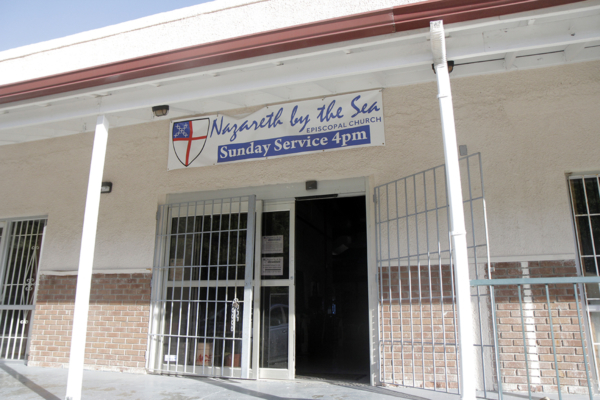 Since the storm, it has served as the island’s only senior citizen center, where at least 70 seniors gather Monday through Friday from 7:30 a.m. to 3 p.m. in the church’s basement for meals and activities. Back on St. Thomas, in Sugar Estate, a densely populated, diverse community served by St. Andrew’s Episcopal Church, housing is scarce and residents, many of whom worked in the hard-hit tourism industry, are working two and three part-time jobs to make ends meet, said the Rev. Lenroy K. Cabey, the 700-member church’s rector. Cabey has witnessed an increase in demand for social services, as well as food. 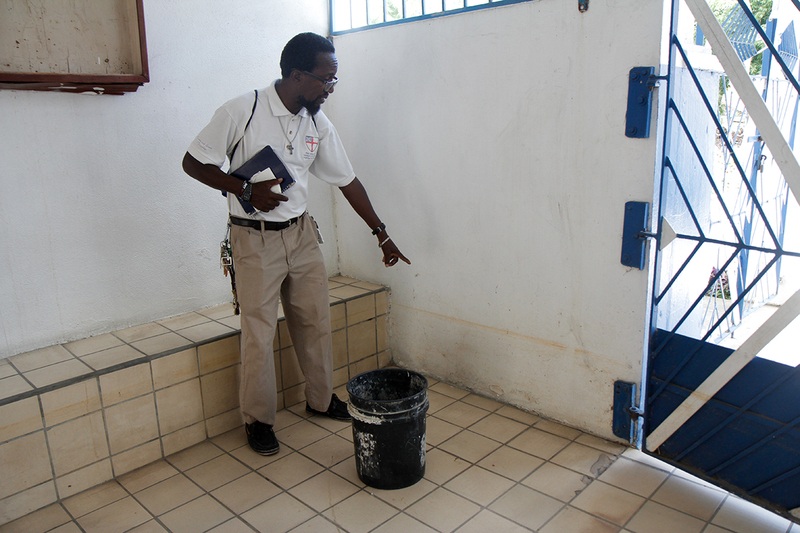 St. Andrew’s hopes to have its soup kitchen back up and running by the end of September, he said. Riise Richards, the diocese’s volunteer coordinator and an Episcopal representative on the Virgin Islands’ Long-Term Recovery Group, also has witnessed increased need. The people’s hesitance, Richards and others across the islands agreed, comes from the shame of needing to admit they need help. Still, help is what they need and since the storm, Richards has been working to retrofit some churches and diocesan property to accommodate volunteers who can assist the diocese in its estimated three- to- five-year recovery. At Holy Spirit, which sits on hill in Estate Hope, on the Western End of St. Thomas, part of the church has been converted into dormitories to house volunteers. Last week, nine AmeriCorps service volunteers were staying in the dorms and working to remove debris, building a deck at the back of the church and working in warehouses to sort and catalogue donations. 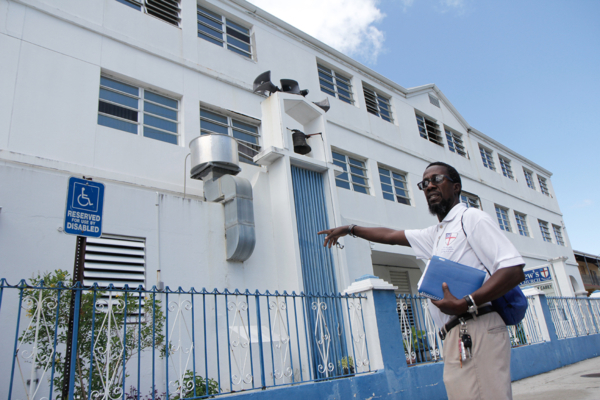 Gumbs, who wants the church “to be a safe place,” gave the mandate to ready the churches to house volunteers who can assist with the long-term recovery efforts, said Richards. Both Holy Spirit and Domini House, which is across the street from All Saints Cathedral, can house volunteers. In the hurricanes’ aftermath, Episcopal Relief & Development and the Diocese of Alabama, a companion diocese, have funded the churches’ outreach ministries through mini grants. Both are committed to the Virgin Islands’ long-term recovery, and Alabama is anxious to send volunteers. Episcopal Relief & Development has provided financial assistance through churches and schools to support ongoing outreach ministries that are engaged in recovery and preparedness, including helping to repair and harden shelters, providing case management and direct assistance to people impacted, compiling preparedness kits for this upcoming hurricane season, supporting community gardening, and sheltering. “The people in the Virgin Islands continue to face enormous challenges a year after the devastating hurricanes. We are proud to remain a partner in the ongoing recovery,” said Abagail Nelson, Episcopal Relief & Development’s senior vice president for programs. 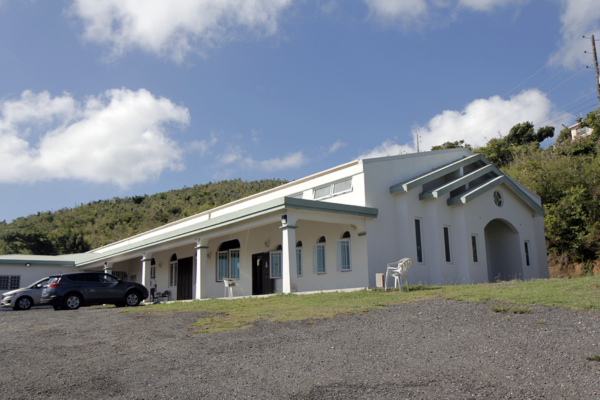 St. Luke’s, which sits atop a hill on St. Thomas, suffered only minor damage during the hurricanes, and now is a government-appointed point of distribution and a designated shelter in the event of another disaster. 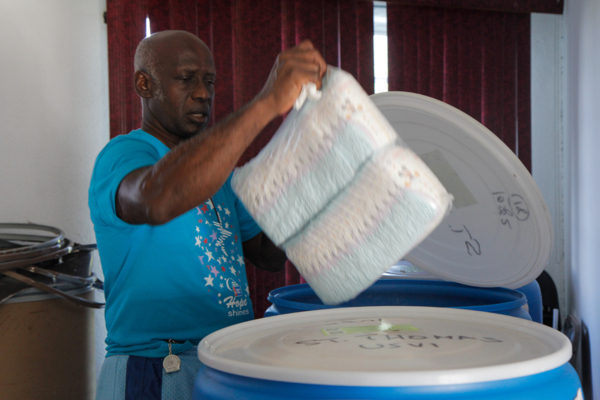 Barrels of supplies, including clothing, nonperishable food items and water, diapers and other infant necessities and toiletries have been shipped in large blue plastic barrels from as far away as Bronx, New York, where Virgin Islanders have family and civic connections. To one degree or another all of the diocese’s churches suffered some damage. On St. Croix, San Francisco, a mission church with the diocese’s only Spanish-speaking congregation has to be razed. 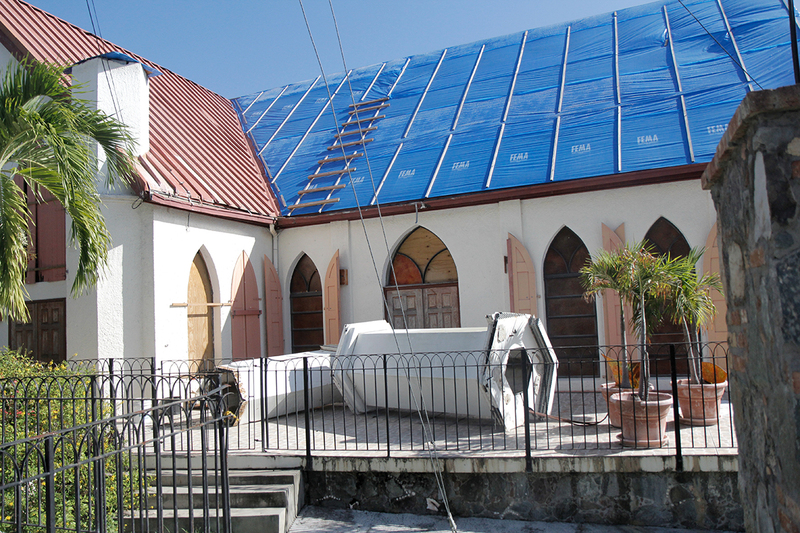 St. Mary’s on Virgin Gorda lost its windows; the pavilion, which overlooks the sea and was used to host community cultural events, is destroyed; the rectory is in disrepair. 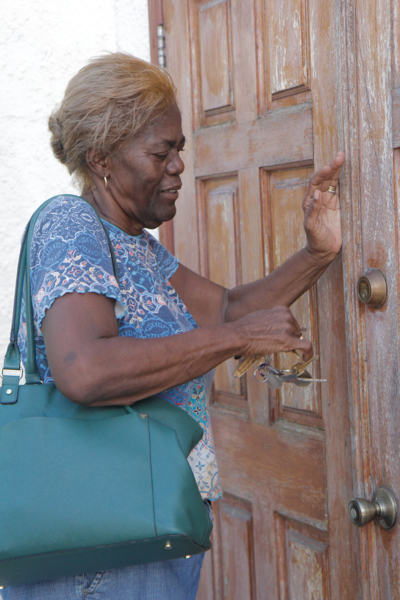 On Tortola, St. Paul’s suffered damage, and an income-generating apartment gifted to the church by a parishioner needs to be gutted. At St. Ursula’s, on St. John, the bell tower fell to the ground, windows are boarded up and a blue tarp protects the roof. As with residences, structural recovery is slow. The church properties are insured by Church Insurance, which falls under the umbrella of the Church Pension Group. “A year ago, we were weeping and a-wailing,” said Payne-Samuel, on Sept. 7, a year and a day after Irma brought destruction to the island. –Lynette Wilson is a reporter and managing editor of Episcopal News Service. The post A year later, Virgin Islander Episcopalians look toward long-term recovery from Irma, Maria appeared first on Episcopal News Service.